Nov. 27, 2017 — Law students, far from the destruction and misery of Hurricane Harvey, came to the aid of their fellow students at the University of Houston Law Center with financial and moral support to help in their recovery. Students at the University of Alabama School of Law, Albany Law School, and Syracuse University College of Law combined to match the nearly $1,500 raised by Law Center students to help classmates affected by the widespread flooding caused by the late August storm. Student representatives from more than 20 other law schools offered words of encouragement in solidarity with Law Center students. "The outpouring of support from our colleagues at law schools around the country has been both uplifting and awe-inspiring," said Reed Fryar 2L, president of the UHLC Student Bar Association. "Hurricane Harvey left a heavy financial, physical and emotional impact on our friends and family in the Houston community and in our school. We cannot express enough gratitude for the financial and moral support we have received in the wake of this disaster." After receiving many inquiries about the need for assistance from Student Bar Association presidents, Fryar posted a letter on the SBA website expressing gratitude for the support on behalf of Law Center students. She listed contact information for the school's Harvey Student Relief Fund as well as recommendations for how to help the community at large. "In 2011, Tuscaloosa was hit terribly by a tornado," said Merrick Wayne, president of the Student Bar Association at Alabama. "The tremendous support that nearby cities, states and schools sent our community will always be remembered by our students, faculty, and staff. We always strive to pay that kindness forward to other communities that are affected by natural disasters. "Many students in our law school are from Texas, and some have family and friends who were affected by Hurricane Harvey. There was never a question in our minds that we would find a way to help." "We never imagined we would raise the hundreds of dollars that we did, and I think that speaks to the generosity and the social awareness of our students," said Pro Bono Fellow Samantha Pallini 3L, a member of the Syracuse Pro Bono Advisory Board. "They saw a need, and they met it without question." "What I have witnessed at SUCOL is an unbelievable sense of community," added Sarah Wheeler 3L, president of the school's Student Bar Association. "This just furthers the ideals and values of SBA and the College of Law as a whole: that each student can make a difference." 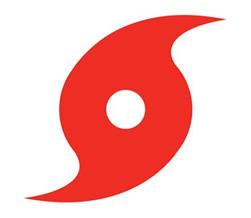 In a survey conducted shortly after the storm, 23 percent of UHLC students reported minor losses while 3 percent suffered major damages; 62 percent were not impacted by Harvey. Relief money will be distributed to students based on need by the Law Center's Scholarship Committee. "The overwhelming response speaks to the generosity and camaraderie of fellow law students," said Associate Dean for Student Affairs Sondra R. Tennessee. "The money will help those struggling to recover financially from the loss of cars, laptops, personal property, and, in some cases, damage to their homes. The heartfelt words of support were equally meaningful."